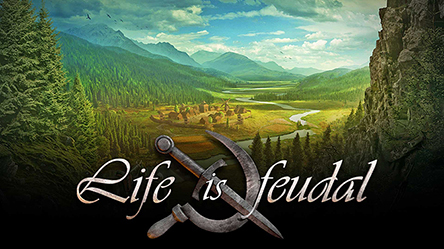 I just finished my real first session of Life is Feudal, and I’m very impressed. Here’s what happened. I really got into Life is Feudal today. I got on asked someone to help me out since I was new, and I got invited into a great guild. I started out on a long journey to what would be my future home. The road was quiet and I followed along the beautiful coast line. I hopped on discord, and everyone was friendly and helpful. After about 15 minutes of walking, I finally arrived at my destination. I was given a tour of our home, and I even got to choose my own room to sleep in. I asked what kind of character the guild needed most and was told they could use some farmers. Not a problem, I could see the fun of growing my own crops and feeding our people. Before I could start farming though I needed to gain some strength. There was a log around, and I decided that would be used to build some muscle. So there I was lifting and dropping the log, gaining my strength. Then someone asked for volunteers (I really need to learn names). The mission was simple, walk 30 minutes to an area where clay was plentiful, we needed it to build our wall of china-esque… wall. 30 minutes there, 30 minutes back. We made it there just before nightfall but not before spotting a potential enemy. Our leader called for help and bam, cavalry arrived to scope out the situation, it was really great to be a part of this. With clay in our carts we started our way back home. Night time came but we had our horse riding friend following us and lighting the way with a torch. 30 Minutes later and we’re back without a problem. Fantastic. 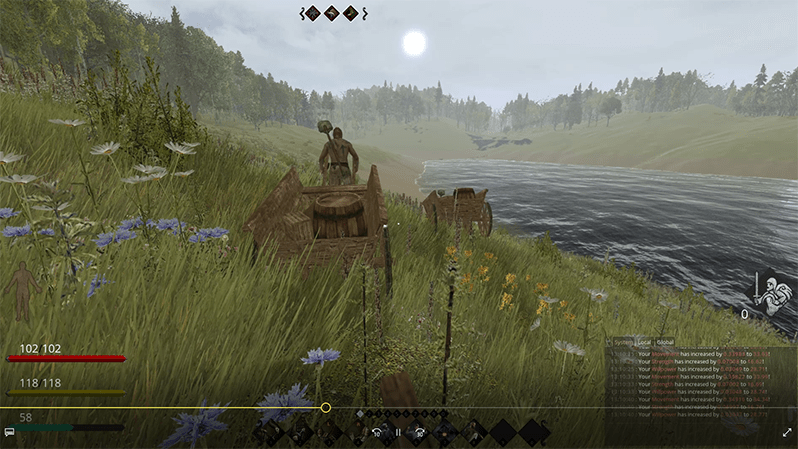 Life is Feudal seems to be a special kind of game, there’s enormous attention to detail and I don’t know how it’s been getting mixed reviews on steam. I think you need to join a community to really appreciate it. Just typing this makes me want to go back and play it. I think I will. Everything, the attention to detail, the sense of place. Joining a guild and going out in a mission was really fun. Honestly, and I rarely say this. Nothing. I guess to nitpick I’d say picking up a log and dropping it to gain strength is going to get sickening, but there are other ways. NEXT POST Next post: Playing every Final Fantasy title, and rating them, can I actually do it?